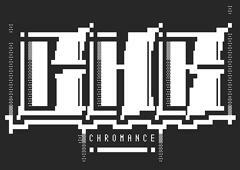 Chromance MP3 were formed in 1999, though the C64 CHR group dated back to 1990. CHR ripped a wide variety of genres, including hip-hop, electronic, rock and pop; often before retail dates. The group was disbanded in 2004, allegedly due to the founder & leader - 'MistahWax' - dying in a car crash, outlined in a scene notice. In reality, the group feared incoming raids and decided to quit as a precaution.